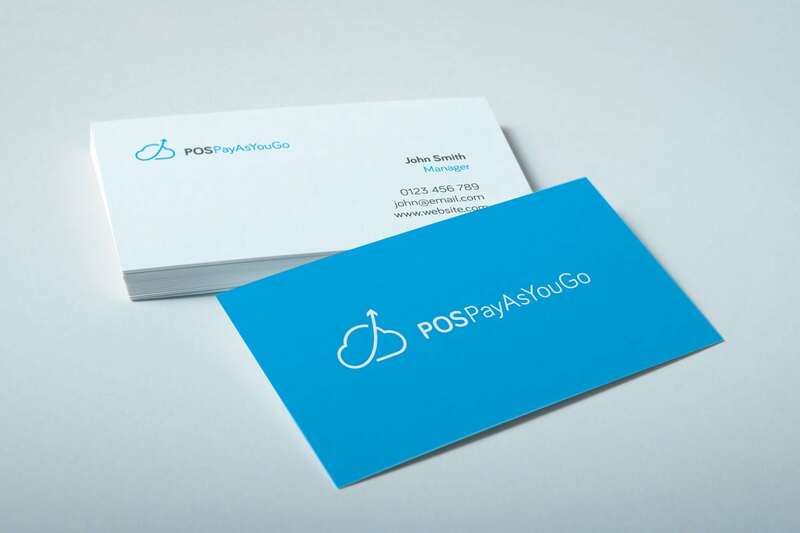 POS Pay As You Go is a software company based in Belfast, that provide UK retailers with electronic point-of-sale (EPOS) solutions. With over 20 years of experience in the industry, their portfolio of clients includes Google, Butlins, The BBC and The Early Learning Centre. They have also been listed in the Deloitte Fast 50, for 3 years in a row. 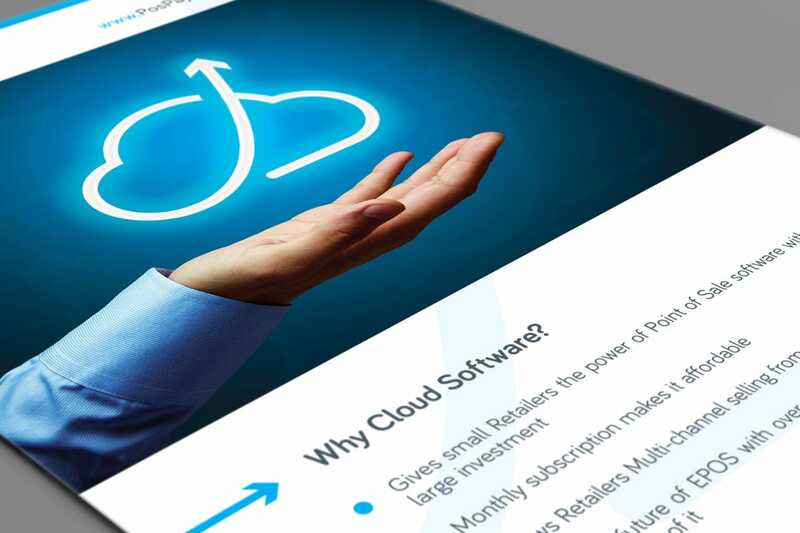 They got in touch with Inkbot Design to discuss the cloud software logo design on their commerce website, applications and marketing materials. As customers are primarily small business owners and retailers in the UK, the app’s software logo design had to be professional and trustworthy. Dealing with smaller businesses required the brand to appear ‘affordable’, in other words, if it acts like an enterprise-level corporation, it may be a deterrent. Ultimately, the logo needed to present them as knowledgeable – they know what they’re doing and the logo should show it. The combination of the upwards arrow within the outline of the cloud presents two central elements of the company. Suggesting growth or success, the shape of the line represents an exponential profit graph, something you should see on a financial report. This shows to the retailer, that with their EPOS cloud solutions, the benefits are clear to see. The rounded form of the logo and typography retains a personality, rather than the more ‘corporate’ brands that can be seen as lacking. This differentiates POS Pay As You Go from the enterprise options that are out of the reach of small business owners. I was referred to Stuart by a Web Designer and he has just completed our new Corporate Identity work. First class job, produced on a tight deadline and on the budget. Looking for a Belfast Graphic Design Company?